Will moderating his policy positions really be of benefit to Donald Trump? On 20 June 2016, Corey Lewandowski was removed from the position of campaign manager for the Donald Trump presidential campaign following an internal struggle with Trump strategist Paul Manafort. Manafort was later announced as Lewandowski’s replacement as campaign manager. Lewandowski was influential in the Trump campaign’s primary strategy of dominating the news agenda through insulting his opponents and making outlandish statements. Lewandowski had the phrase “Let Trump be Trump” fixed to his office wall, and this tended to be the way in which the primary campaign was run. However, there were many who predicted that this strategy would not serve Trump well in the latter stages of the presidential campaign, and that if he were to challenge Hillary Clinton then he would have to adopt a more professional persona or risk alienating the swing voters which are crucial to any election victory. Therefore, the appointment of Paul Manafort as the new campaign manager is seemingly a step towards the professionalisation of the Trump campaign. Manafort has pedigree having served as an advisor to the Republican presidential campaigns of Gerald Ford, Ronald Reagan, George H.W. Bush, Bob Dole, George W. Bush, and John McCain. This suggests that Trump is aiming to move his campaign away from the strategy that served him so well in the primary campaign, to one which allows him to target the centrist voters who will be key if he is to defeat Hillary Clinton in the general election. There have also been signs that Trump has moved to the centre on some policy positions with his statements in favour of an increase in the minimum wage and higher taxes for the wealthiest. Both these measures are likely aimed at the centrist voters that Trump needs to win over in order to triumph in the general election. We have also seen Trump seemingly soften his stance somewhat on other controversial issues. Having previously stated during the primary campaign that he was in favour of banning all Muslims from entering the United States he has now said that he is only in favour of banning those from countries with a proven history of terrorism. However, although on paper this appears to be a softening of his position, realistically Trump’s stance on this issue has not really changed. His previous policy position of a complete ban upon Muslims entering the United States would surely have been found to be unconstitutional by the judiciary as it is clearly discriminatory on the grounds of religion. However, by switching his policy proposal to a ban on immigration from countries with a history of terrorism then Trump has likely achieved pretty much his original aim but has done so in a way that is less likely to be seen as unconstitutional. Therefore, Trump’s views are arguably just as extreme as they were during the primary campaign. However despite this, there is no doubt that Trump is attempting to appear more moderate in an attempt to woo undecided voters. However, it is surely debatable whether this apparent moderation will serve Trump well during the general election. The argument that undecided and centrist voters will not vote for Trump if he retains his extreme policy positions on certain issues is a valid one. If Trump does completely retain his early policy positions then it is hard to see how he could possibly win a Presidential election against Hillary Clinton. However, the groundswell of support that Trump built up during the primary campaign chose to support him because of his anti-establishment positions. The vast majority of Trump’s original support was made up of people who don’t always vote in elections and who have become apathetic about establishment politics. These are people who have no interest in voting for a member of the establishment running on a platform of establishment policy positions. In order for Trump to retain the support of this group then he needs to stick to the principles which gained him support and momentum in the first place. This would mean Trump choosing not to professionalise his campaign and not overtly targeting centrist voters. Effectively, Trump’s earlier campaign strategy has put him into a “catch-22 situation”. If Trump continues to run his campaign as he did in the primaries then he will retain the support he gained during the primaries but he will perhaps struggle to persuade many undecided and centrist voters to back him. This failure to persuade centrist voters to back him would be likely to cost him the election. Conversely, Trump could begin to run a more professional campaign in an attempt to attract more centrist voters. Although this would likely gain him some support amongst undecided voters and traditional Republicans, it could also lead to Trump losing significant support amongst those who originally backed him. Many of the original group who backed Trump don’t regularly vote and therefore if Trump were to morph into a member of the political establishment then once again they would be likely to elect not to cast a vote. Again, this would be likely to cost Trump the election. Ultimately, this gives Trump a serious problem as it seems that whichever decision he makes regarding the direction of his campaign, he is going to struggle to defeat Hillary Clinton in November. Currently general election polling reflects this, with polls giving Clinton an average lead of 4.6 per cent over Trump. This suggests that Trump’s level of support is significantly lower than it was several months ago, meaning that the attempt to moderate his campaign is yet to be effective. It seems that although Trump’s insurgent campaign was brutally effective during the primaries, it is simply not suited to a general election. Trump’s reliance on retaining the interest of individuals who rarely vote was always going to be risky. Whilst his decision to take extreme policy positions and publicise these so widely was always going to make it difficult for him to attract centrist voters. It now seems increasingly unlikely that Trump will be able to beat Clinton. As Clinton no longer has the threat of FBI charges hanging over her head, there seems to be little in the pipeline that would be able to knock her popularity, meaning little chance for Trump to gain supporters. Thankfully, it seems as though the Trump campaign has run out of steam, and that Donald Trump will not be the next President of the United States, with no amount of moderation being able to change this. Author jameswrigleyblogPosted on July 6, 2016 August 28, 2016 Categories Election 2016, US PoliticsTags America, Donald Trump, Hillary Clinton, Politics, Presidency, Presidential Race, United States, US Politics, USALeave a comment on Will moderating his policy positions really be of benefit to Donald Trump? Why is Andrea Leadsom in with a chance of becoming our next Prime Minister? Photo: Matt Dunham / AP. With the first ballot of the Conservative leadership race taking place over the course of Tuesday, it is looking increasingly likely that the final two candidates which party members will get to choose between will be Home Secretary Theresa May, and energy minister Andrea Leadsom. With Theresa May being one of the most high profile politicians in the UK, albeit one who took somewhat of a backseat during the referendum campaign, it is no surprise that she is a frontrunner for the party leadership. Likewise Michael Gove, Stephen Crabb, and Liam Fox have all spent time in the Cabinet, and although less experienced than May at least have some tangible experience of government from which to draw. As for Leadsom, she has served in junior ministerial positions in the Treasury and the Energy Department but has never held a Cabinet position. Indeed few people had heard of her before she took centre stage during the two main televised Brexit debates. Rarely has someone with less experience stood a real chance of becoming Prime Minister so early in their political career. Leadsom was only elected to the House of Commons in 2010 making her far and away the least experienced of the five candidates for the leadership. Not since 1963 have we had a Prime Minister who has not first served as either the Chancellor of the Exchequer or the Leader of the Opposition. Therefore, whoever wins the Conservative leadership election will technically be the least experienced Prime Minister since 1963. However, Theresa May’s six years as Home Secretary easily make her qualified for the role, whilst Stephen Crabb, Liam Fox, and Michael Gove have all served at least two years in the Cabinet. Despite this, Andrea Leadsom seems to currently have a better chance than any candidate, bar Theresa May, of being Leader of the Conservative Party and Prime Minister by September. Currently Leadsom stands in second place, behind May, in terms of MPs who have pledged their support to her campaign. If, as expected, Liam Fox is eliminated from the race after Tuesday’s vote, then it would stand to reason that his supporters will gravitate towards supporting Leadsom. This will put Leadsom in pole position to see off the challenges of Michael Gove and Stephen Crabb to take on Theresa May in a ballot of the full party membership. Current polling suggests that May is the favourite and would comfortably defeat Leadsom in a ballot of the full party membership. However, any full membership vote on the leadership will not take place until September, which gives a significant amount of time for things to change. Being the favourite at an early stage rarely seems to be helpful in party leadership elections. Just ask Boris Johnson and David Miliband and I am sure that they will tell you the same. Therefore, to suggest that Theresa May as our next Prime Minister is a foregone conclusion would be incorrect. Traditionally the wider Conservative membership has been significantly more Eurosceptic than the parliamentary party, and so following the vote to leave the European Union it stands to reason that the Conservative membership would want a leader who campaigned for the UK to leave the EU. With Leadsom boasting the support of influential Eurosceptic figures in the parliamentary party such as Boris Johnson, Iain Duncan-Smith, John Redwood, and Steve Baker then it seems that she has a strong chance of being the Leave supporting representative on the final ballot paper. Given the desire of many members that a Leave supporter takes charge of the forthcoming Brexit negotiations, this would surely give Leadsom a strong chance of victory. Add to this the fact that Liam Fox is struggling to garner significant support and that Michael Gove will now be forever haunted by his betrayal of Boris Johnson, and Leadsom would seem to be the only viable candidate from the Leave side of the Conservative Party. Therefore, she has an extremely good chance of becoming the next Leader of the Conservative Party and our next Prime Minister. This surely raises serious questions about the whole process of choosing a leader. Leadsom has very little experience of government with just two junior ministerial roles to her name and no Cabinet experience at all. Surely she is not experienced enough to become Prime Minister. The same could be said of current Leader of the Opposition Jeremy Corbyn who had no ministerial experience at all prior to his election as Leader of the Labour Party. However, there is a huge difference in responsibility between becoming Leader of the Opposition and becoming Prime Minister. David Cameron was not particularly experienced when he first became Leader of the Conservative Party. However, his five years as Leader of the Opposition allowed him to gain the requisite experience to serve as Prime Minister upon his election in 2010. Leadsom would not be afforded this luxury and would instead be thrown straight in at the deep end as Prime Minister. She is by no means ready for this. From what I can gather, Leadsom has hardly set the world alight during her time in Parliament thus far. During her stint at the Treasury as City Minister, she was variously described as ‘a disaster’ and ‘the worst minister we’ve ever had’. It is said that this poor spell at the Treasury led to George Osborne blocking a promotion to the Cabinet and requesting Leadsom’s transfer to another department, which culminated in Leadsom becoming a junior minister in the Energy Department. This evidence is hardly a ringing endorsement of her credentials to be our next Prime Minister. Despite having limited experience within government, Leadsom will likely point to her experience outside of politics as qualifying her for the role of Prime Minister, or in the event of a close loss, then the post of Chancellor of the Exchequer. Over the course of the EU Referendum and her campaign for the Conservative leadership, Leadsom has made much of her twenty-five years experience in financial services. Some of Leadsom’s claims have suggested that she has experience in finance that would qualify her for the post of Chancellor of Prime Minister due to an understanding of the economy. However, evidence suggests that this is not the case. Robert Stephens, a colleague of Leadsom’s during her ten years at Invesco Perpetual has stated that her role was mostly an administrative role which involved negotiating the pay of senior fund managers, but certainly didn’t involve any actual financial management or economic analysis. Therefore, it is debatable whether Leadsom actually is as qualified as she claims, and her statements risk misleading voters regarding her qualifications for senior governmental posts. Leadsom becoming our next Prime Minister would also raise serious questions in terms of democracy. I would argue that the overall majority gained by the Conservatives at the 2015 General Election was far more an endorsement of David Cameron as Prime Minister than it was an endorsement of the Conservatives as a governing party. Indeed, much of the post election polling seemed to find that many people preferred policies put forward in the Labour Party’s manifesto yet voted Conservative anyway because they much preferred David Cameron to Ed Miliband, and felt that David Cameron and George Osborne were better placed to manage the economy than Ed Miliband and Ed Balls. I would argue that another general election should be held in order to give legitimacy to the new Prime Minister, yet all of the leadership contenders have stated that they will not be doing this. They see the election result as an endorsement of the party rather than David Cameron. Seeing as Theresa May, Michael Gove, and Stephen Crabb all held Cabinet positions at the time of the 2015 General Election then the victory could perhaps be extended to them, and lend them some legitimacy. However, until about a month ago, very few people had actually heard of Leadsom. Therefore, if she were to take office as Prime Minister without first gaining legitimacy through a general election then surely this would be an abuse of democracy? Ultimately, the problem with Andrea Leadsom becoming Prime Minister is one of experience. How can someone possibly become Prime Minister solely on the back of a couple of moderately successful television appearances talking rubbish about Brexit? It is completely absurd that she is now in this position and that as of the first round of voting, sixty-six Conservative MPs believe that she is the most qualified of the five original leadership candidates to become Prime Minister. What is more worrying is that when the choice of Conservative leader goes to the wider party membership there is a relatively good chance that the Conservative rank-and-file select Leadsom as their favoured candidate rather than May, in large part because Leadsom backed Brexit. This would be a mistake. Her politics aside, Andrea Leadsom does not have the requisite experience to be our next Prime Minister and it is crazy that she has even come under real consideration. 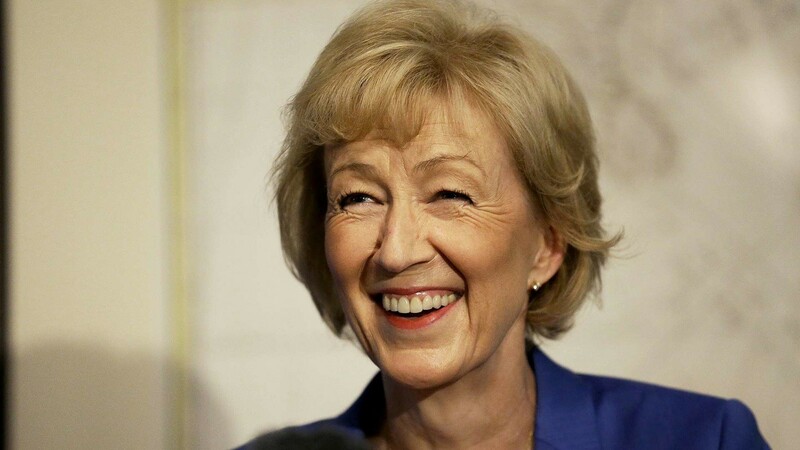 Author jameswrigleyblogPosted on July 5, 2016 August 28, 2016 Categories UK PoliticsTags Andrea Leadsom, Brexit, Conservative Leadership, Conservative Party, EU Referendum, European Union, Politics, UK PoliticsLeave a comment on Why is Andrea Leadsom in with a chance of becoming our next Prime Minister?